Dr. Amy Gerney, OTR/L, Assistant Professor, has been an occupational therapist for over 25 years. She completed her Bachelor of Science degree in Occupational Therapy from Utica College of Syracuse University, her Advanced Master's Degree in Occupational Therapy from Temple University, and her Occupational Therapy Doctorate from Thomas Jefferson University. She has also completed a Certificate in Distance Education from the University of Wisconsin at Madison. Dr. Gerney’s clinical experience includes home health, hospice, and geriatrics. She is an entrepreneur, has worked for Holy Redeemer Visiting Nurses in Philadelphia, Residential Home Health Services of Lycoming County, Manor Care in Williamsport, Pennsylvania, and has volunteered for various organizations including Kids Making It-an organization providing woodworking programs to at risk and court adjudicated teenagers in the Wilmington, North Carolina area. Dr. Gerney has over eight years of experience teaching in the field of Occupational Therapy and has a special interest in the online learning environment (hybrid) where she creates learning environments and opportunities for students to become lifelong autonomous learners. Dr. Gerney has published three chapters in Lifestyle Performance: A Model for Engaging the Power of Occupation and one chapter in Designing Problem-Based Instruction with Online Social Media. She has co-authored in the American Journal of Occupational Therapy. She has presented at the American Occupational Therapy Association conference as well as local conferences. Dr. Gerney’s teaching responsibilities include Individual and Group Work in Occupational Therapy, Group Process in Occupational Therapy, Adult Clinical Conditions, Clinical Psychiatry, and Clinical Management in Occupational Therapy. She has also taught courses in adult occupational therapy interventions, environmental dimensions of human performance, human development, assessments in occupational therapy, the history and philosophy of the profession, community based practice, and doctoral level courses in occupational science. 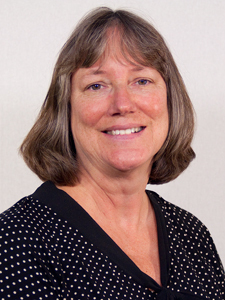 Dr. Gerney enjoys hiking with her husband Peter, gardening, cooking, and spending time with her six children.